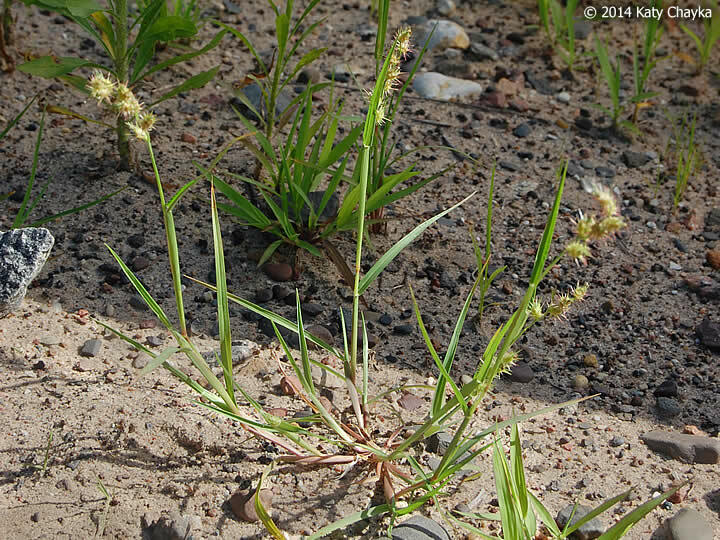 Cenchrus longispinus (sandbur) plant. © 2014 Katy Chayka. Minnesota Wildlowers. minnesotawildflowers.info (Accessed 12/2017). Cenchrus longispinus is an annual (probably a C4 grass, see Waller and Lewis 1979), reclining or ascending, 20-80 cm, stems flattened, branched; sheaths hairy on upper margins, somewhat inflated, loose, constricted at top and often with tufts of long hair at corners, ligule a band of white hairs. Leaves 6-18 cm long, 0.3-0.7 cm wide, smooth below, slightly rough above. Cenchrus longispinus spikelets. By Jason Sachs. Copyright © 2017 Jason Sachs. New England Wild Flower Society. gobotany.newenglandwild.org (Accessed 12/2017). 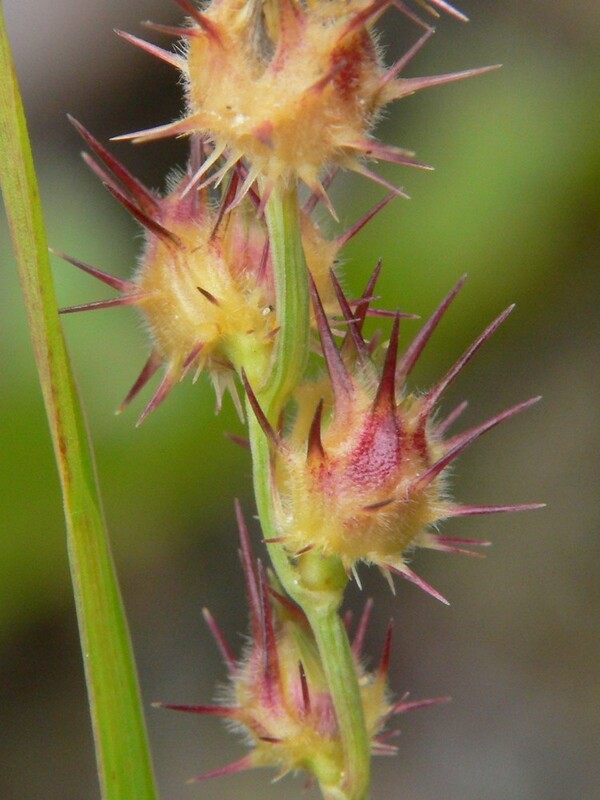 Flowers in a spike of bony, hairy, burs with 45-70 sharp spines, surrounding 2-3 spikelets that protrude from bur at top, July-Oct. Seeds eaten by some birds (Martin et al. 1951). Habitat: Open, sandy soil, fill, usually coastal.